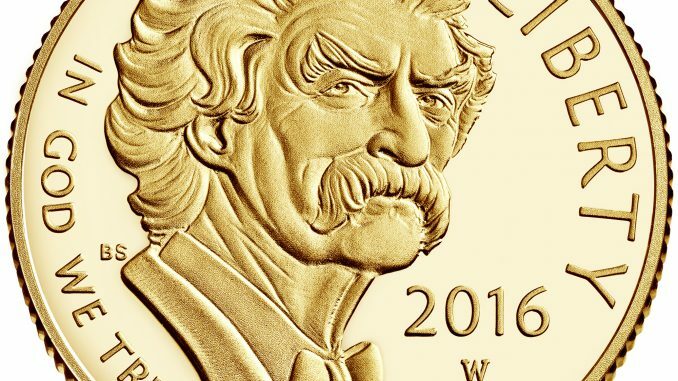 In 2016, the United States Mint honoured one of America’s greatest writers, Mark Twain, with the release of both a gold and a silver commemorative coin. Born as Samuel Langhorne Clemens in Florida in 1835 but grew up in the port town of Hannibal near the Mississippi which would have a lifelong influence on his work. He worked as a printer, journalist and riverboat pilot but his writing as Mark Twain led him to fame. Twain’s humorous writings combined with its social criticism of race relations, economic inequality and the period around the civil war earned him a place in history. His most famous novels, Adventures of Huckleberry Finn and The Adventures of Tom Sawyer have not been out of print in over 100 years. The two coins feature different designs. 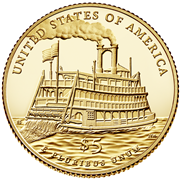 The gold coin shows a portrait of Mark Twain on the obverse and the reverse shows a paddleship in full steam, presumably down the Mississippi for another great adventure . 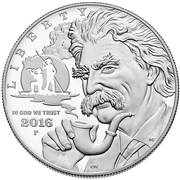 The Silver commemorative coin also shows an image of Mark Twain, this time smoking a pipe. The smoke out of the pipe forms a silhouette of Huck and Jim on a raft. 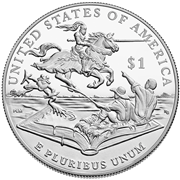 The silver reverse shows a number of characters from Mark Twain’s works: The knight and horse from A Connecticut Yankee in King Arthur’s Court, the frog from The Celebrated Jumping Frog of Calaveras County, and Jim and Huck from Adventures of Huckleberry Finn. Both are wonderful coins. 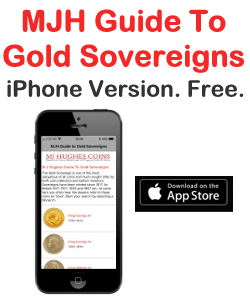 The gold coin is denominated as $5 and the silver coin as $1. 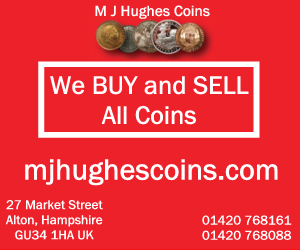 Maximum mintage figures are 100,000 for the gold and 350,000 for the silver, but those figures are for the proof versions and the uncirculated versions combined. Part of the money raised by the mintages went to Museums and projects associated with Mark Twain. 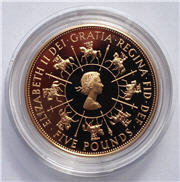 Gold coin: diameter 21.59mm, weight 8.359g. 90% gold. 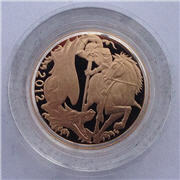 Silver coin: diameter 38.1mm, weight 26.72g. 90% silver. 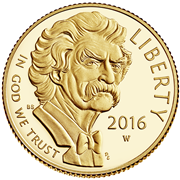 Images kindly released by the United States Mint.